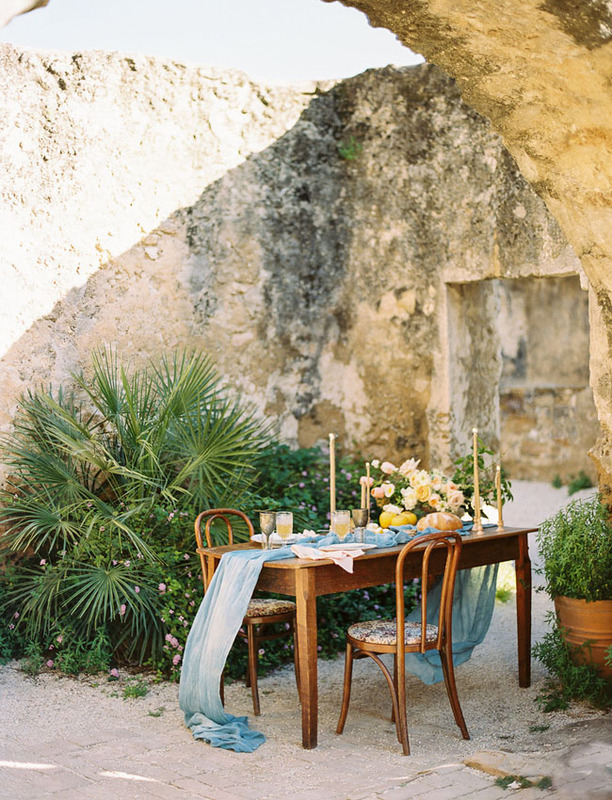 We love all of the interesting places creativity + inspiration can hide. 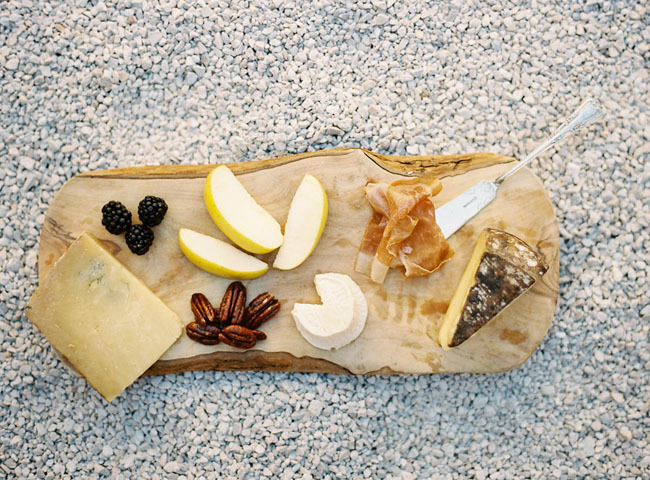 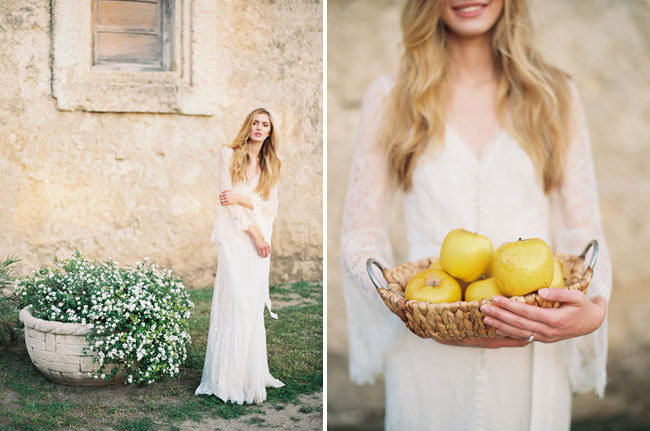 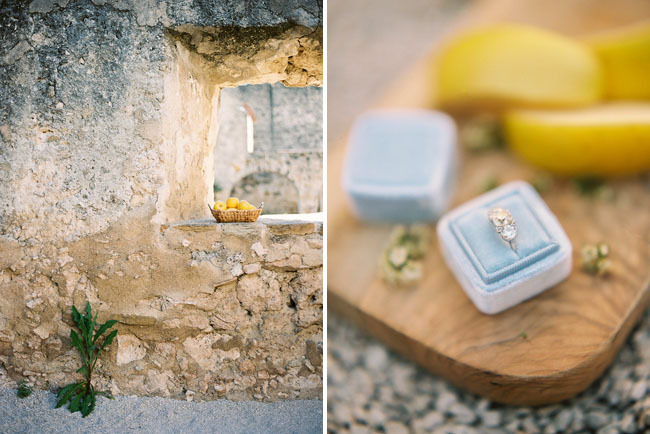 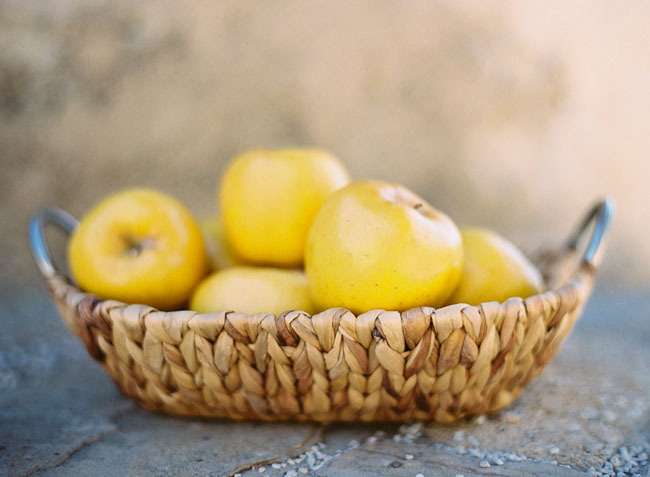 Case in point: today’s stunner of a shoot, all inspired by the simplest of things – a pretty, little yellow apple. 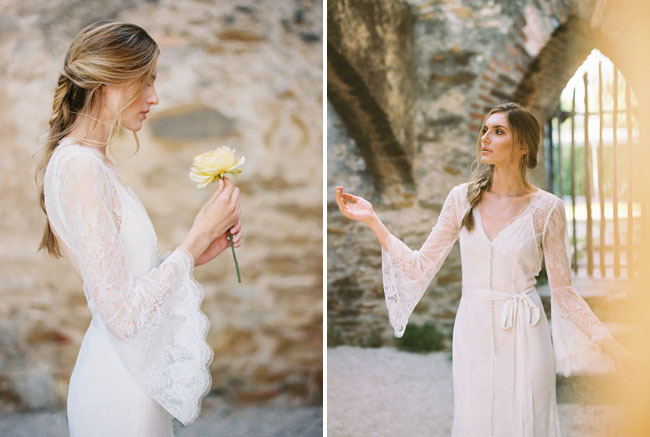 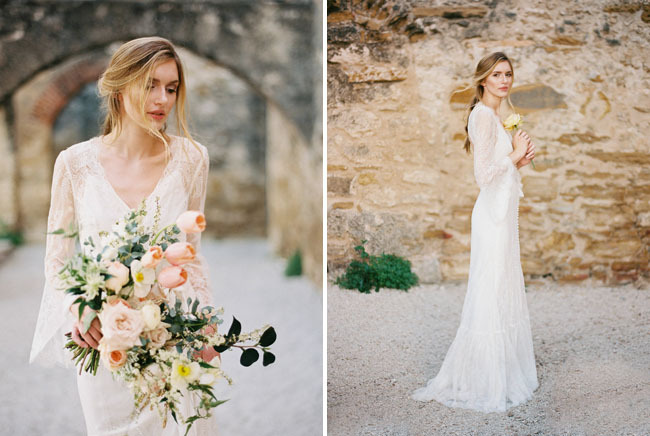 Conceptualized, styled and photographed by the lovely Apryl Ann, with styling + planning support from Birds of a Feather, this editorial is filled with elegant + understated details and the prettiest of palettes. 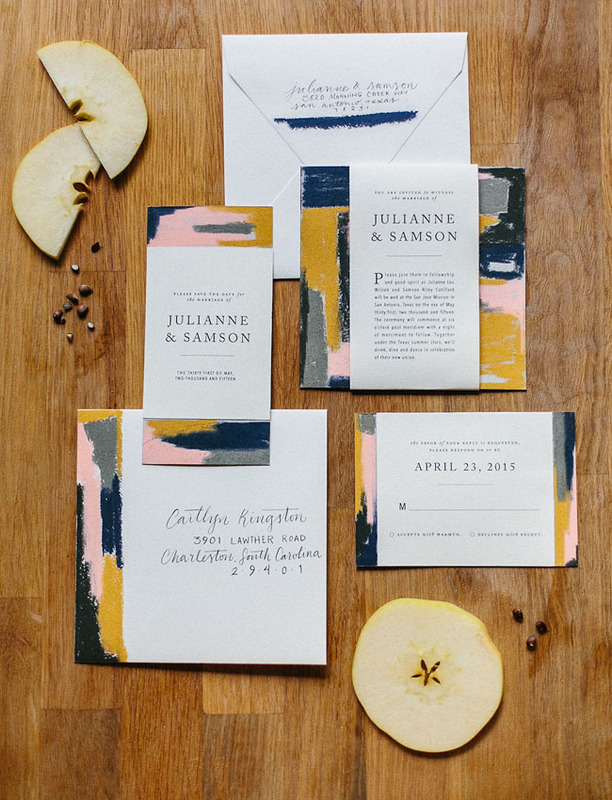 Apryl says, I have always loved opal apples and wanted to incorporate it somehow into my own wedding however due to it’s season ending before my wedding date, I thought it would be neat to design some wedding inspiration around it. 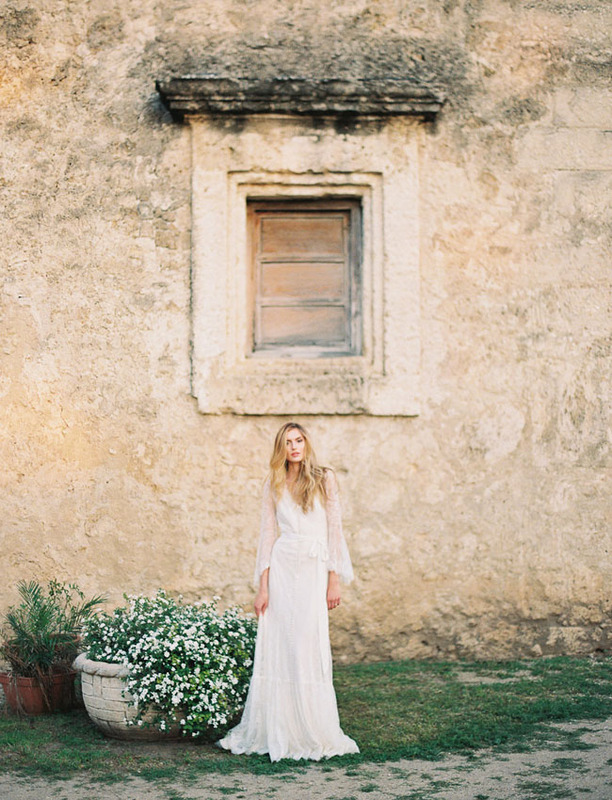 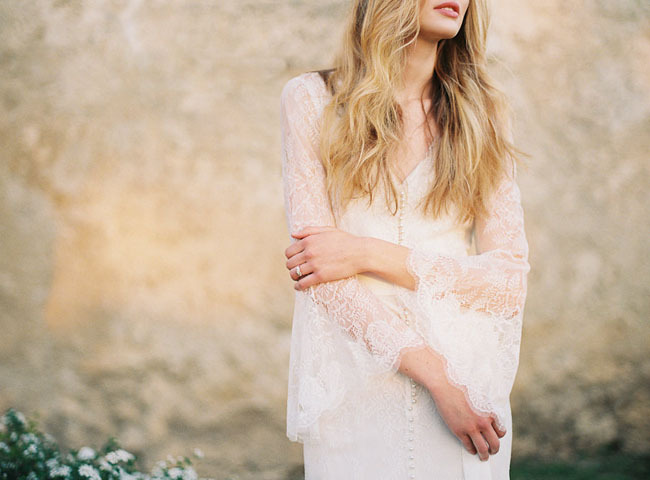 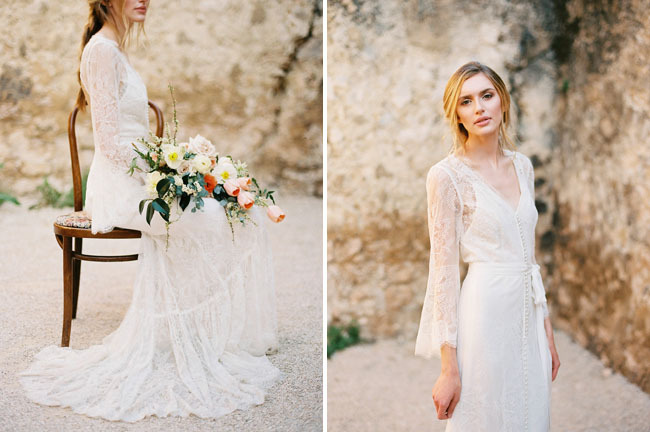 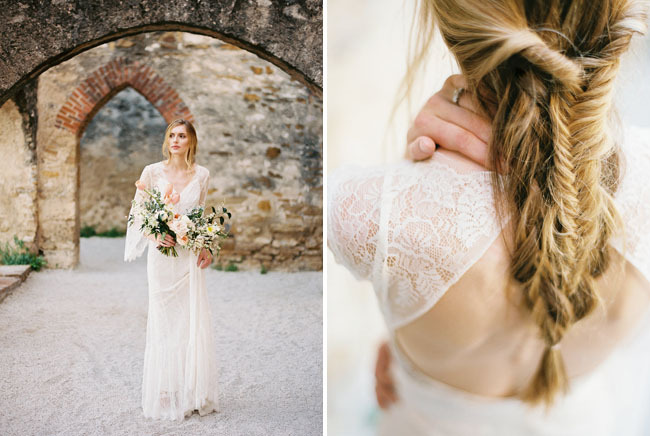 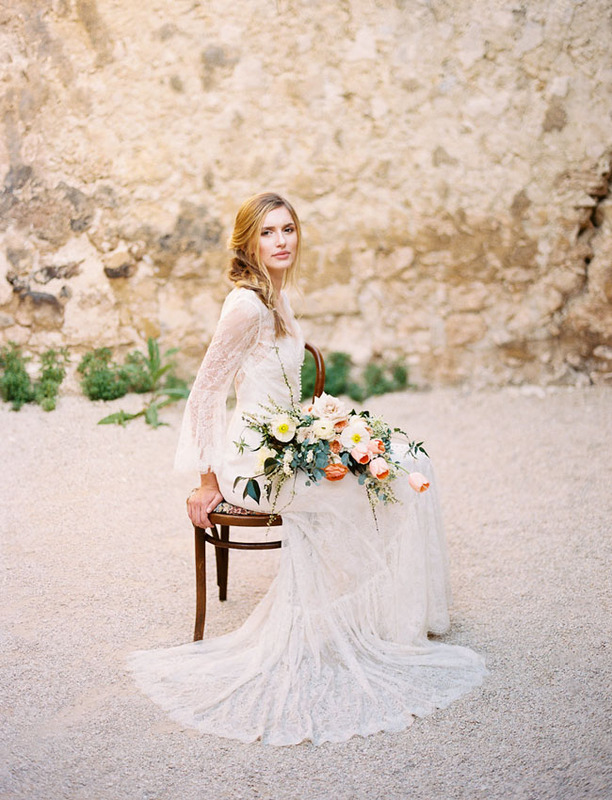 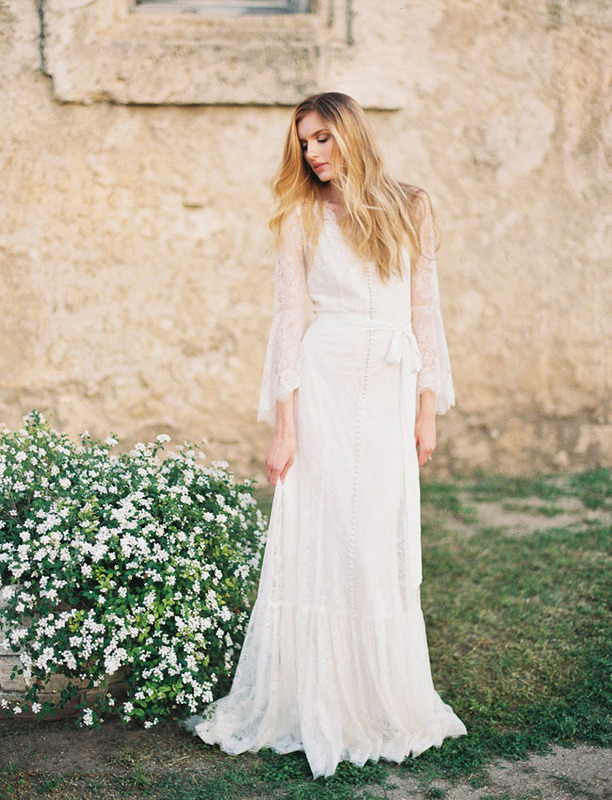 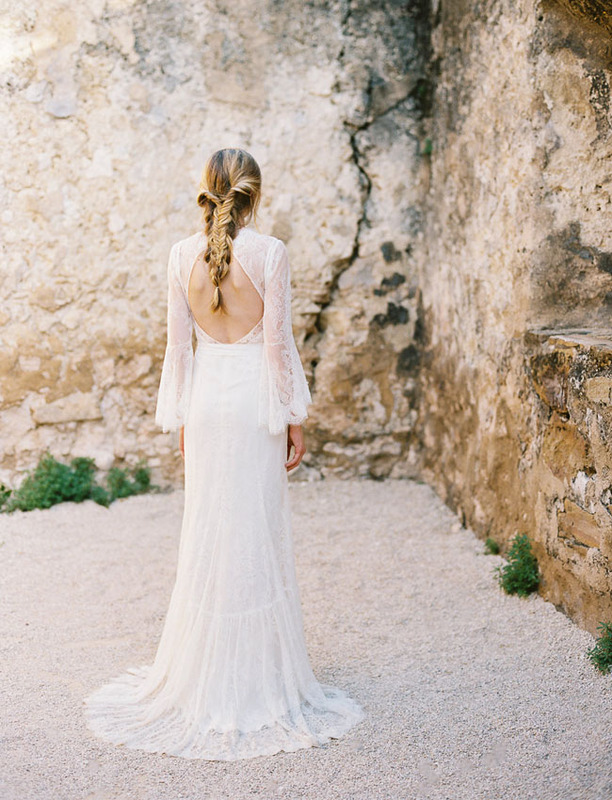 A dreamy dress by Watters + a messy fishtail braid by Kiss by Katie…we obviously love this look! 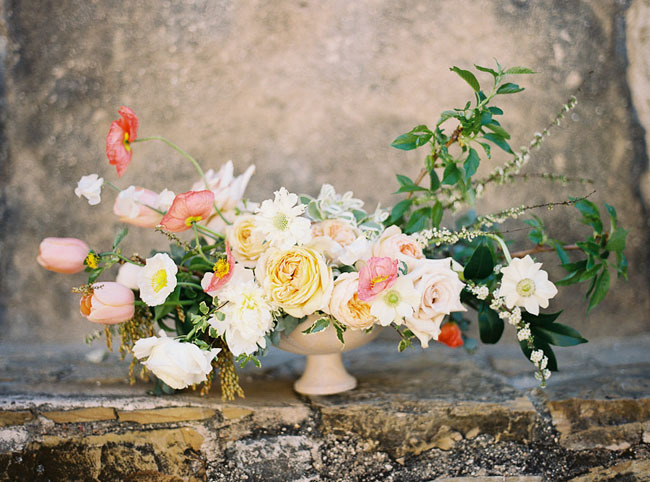 The Southern Table sure knows how to whip up a romantic bouquet! 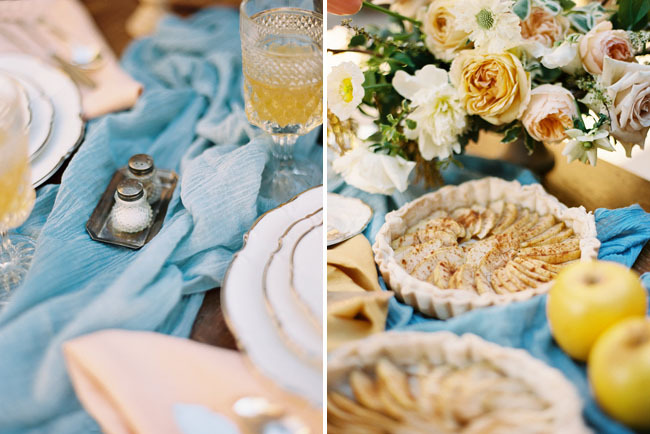 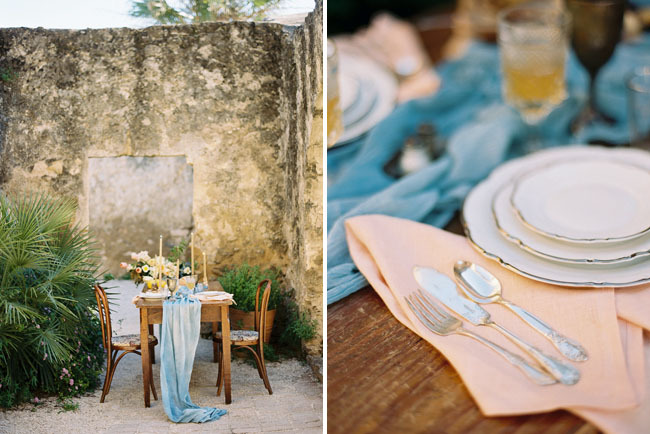 Who knew blue, yellow + peach would look so perfect together?! 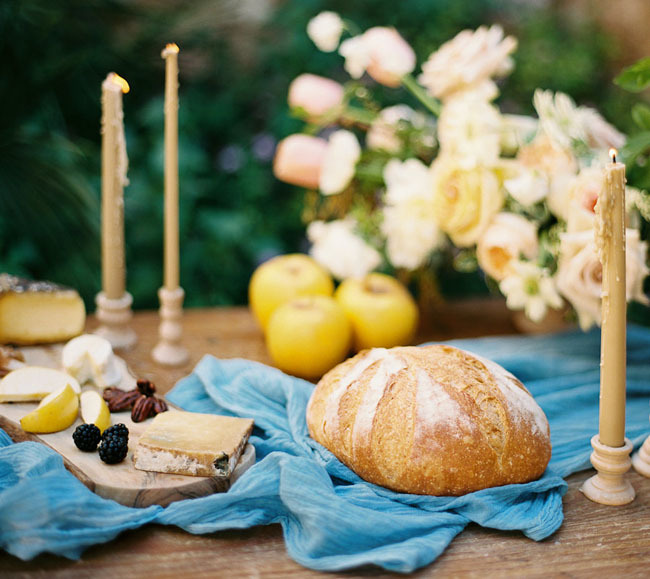 The organically dyed runner by Silk and Willow really pulls together this tablescape. 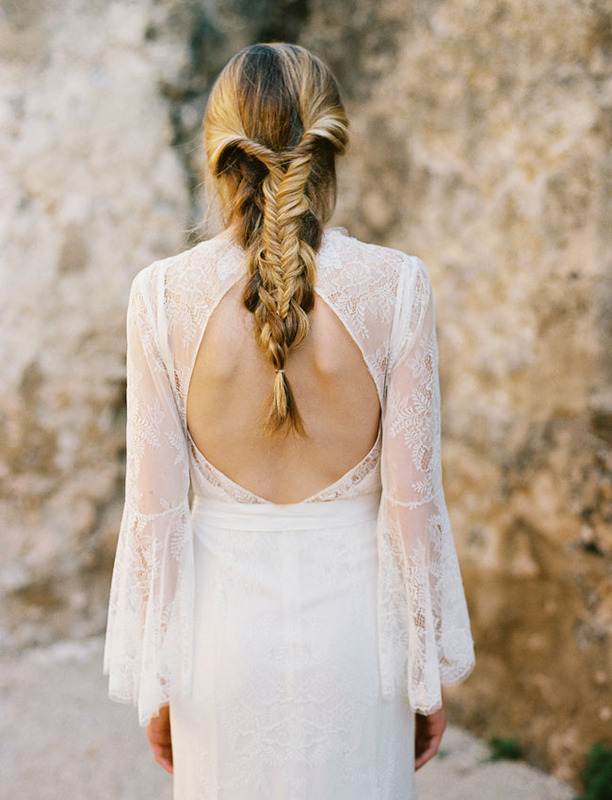 Wasn’t that the prettiest! 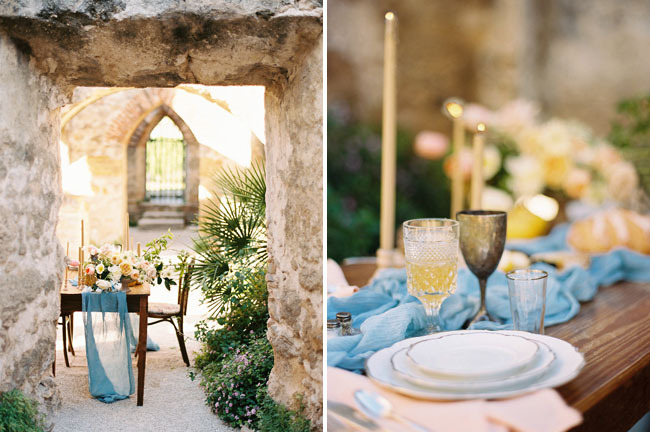 We dare you to find some wedding inspiration in an interesting place! 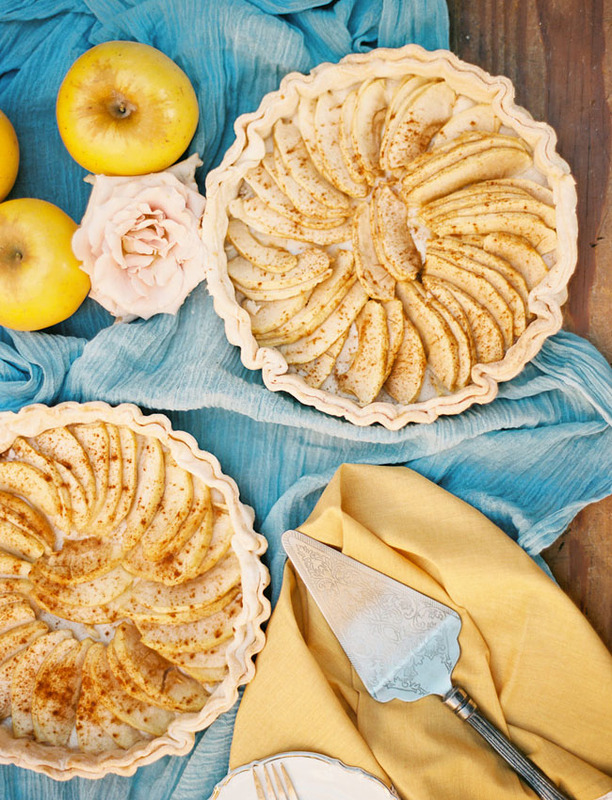 Maybe even in the market or your own kitchen, like Apryl did! 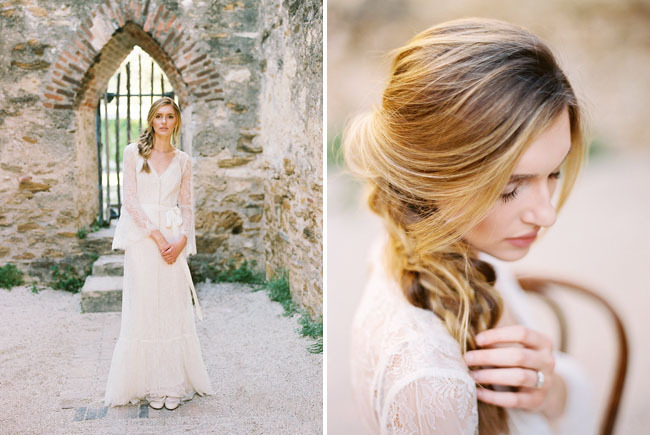 Thanks to the team for sharing!